Justified comparisons to The Wizard of Oz and Lewis Carroll’s Alice in Wonderland ensue whenever there’s a discussion of Hayao Miyazaki’s Spirited Away, as the film follows the journey of a 10-year-old girl named Chihiro passing from her everyday life into a dreamworld of spirits and magic. In Japan, where the film was originally released in 2001, stories of this sort about an adolescent girl protagonist are called shojo. Except, Miyazaki’s version of shojo is not about frivolous romance per the genre’s usual approach; he instead dwells on Chihiro discovering something new about herself that strengthens her character through fantastical circumstances. Through his narrative flourishes, he indirectly reminds audiences of what makes his work so great, how his films send us into magical worlds both unknown and astounding, and how his audiences grow from the experience. 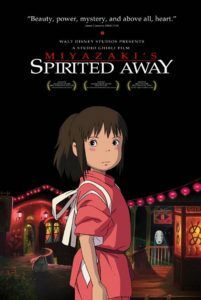 When the film opens, Chihiro’s family takes a wrong turn on the road to their new home, and they find themselves regarding an old temple, beyond which is a fairground of sorts. Her curious parents stop to take a look, the surrounding area tattered by time. Looking closer, they find that the empty fairground contains stations overflowing with freshly cooked food. Her gluttonous parents cannot resist and stop to binge, setting down their credit card as payment and ingesting so much that they transform into pigs. Chihiro is suddenly alone and unable to find help for her parental swine. She soon realizes that she’s crossed into the spirit world, and that she’s arrived at the front door of a bathhouse where spirits go to rest their weary, oftentimes transparent bones. Standing guard is a boy named Haku, who helps Chihiro hide from danger and advises her that to survive she must beg for a job from the bathhouse’s manager, Yubaba. When she does this, she finds Yubaba difficult but eventually earns herself a place scrubbing floors and filling baths with the spa’s other human attendants. Chihiro is forced to step outside of herself through Yubaba challenging her. The headmistress steals Chihiro’s name and with it the girl’s childhood as part of her employment contract. Chihiro is meant to reclaim her name and thus her identity through her experiences, through the processes of using her imagination and making a connection to the nostalgic flourishes of her culture’s past so evident in the spirit world. And yet, as Miyazaki intended, the adventure is one within the capabilities of a 10-year-old girl, his own personal target audience. But it was not merely this intended audience that went to see the film; like all Miyazaki works, its appeal transcended probable demographics. 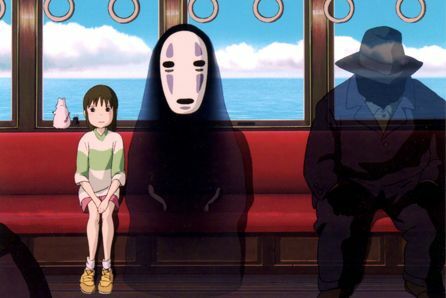 Millions attended screenings of Spirited Away in Japan, making it the country’s most successful release; it even beat out James Cameron’s Titanic. 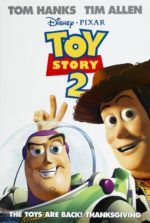 Indeed, the film was the first to earn $200 million in box-office receipts before being distributed to U.S. audiences. 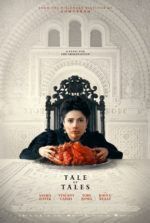 By the end of its theatrical run, the film made nearly $275 million the world over, received international acclaim, and earned itself several prestigious awards in the process (most notably top prize at the Berlin Film Festival and the Oscar for Best Foreign Film). Perhaps this is because of the nationalistic message the director offers in the film’s subtext. Consider Chihiro a symbol of Japan itself. Miyazaki views Japan as a country in limbo that cannot reconcile its past with its modernity. Through Miyazaki’s narrative, Chihiro is forced to become someone better, more whole, by acknowledging her cultural past. In doing so she advances herself from a child without definition to a child in-tune with herself and cultural history. Miyazaki views balanced, ancient ways more crucial than the economic-driven mindset of modern Japan, and he demonstrates within the film the importance of finding peace with the past and combining its lessons with the present. The story begins with Chihiro existentially lost, moving to a new house and uncertain about the upcoming change. On the way, she loses herself in nostalgic images of spirits and faraway lands, and through the story, she grows at peace with her surroundings, and therefore her cultural identity. A person who can retain self-assurance through shifting environments is stronger for it, and Chihiro quickly learns this truth. Of course, the social reflectivity does not end there. In one scene, Okutaresama, an awful smelling “stink spirit”, enters the bathhouse dripping with ooze and debris, carrying with him the film’s most apparent commentary. Employees scramble to avoid him as he stomps to Chihiro’s booth. He’s come to be cleansed in the spa, his eyes the only features visible through his muddy mass of a body. As the purifying water pours down, it cleans away trash and brown bile; Chihiro helps to dislodge a bicycle and other garbage of the modern household from the spirit’s body. When the bath is over, Okutaresama is revealed to be a river spirit who has become polluted and defiled with waste. As for the commentary, Miyazaki’s script doesn’t need to stand on a soapbox to punctuate the scene’s meaning. Its purpose is unmistakable. 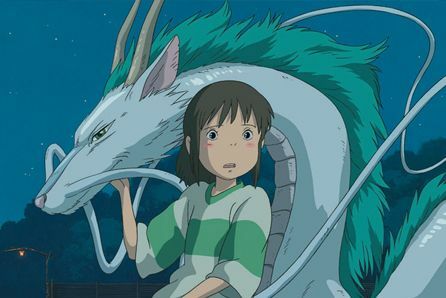 Undoubtedly, the message behind the film isn’t what propelled Spirited Away into international acclaim, rather it was the fantasy imagery captured by Miyazaki’s style of animation. Reliant on his own imagination as canon more than any Japanese mythology, Miyazaki’s character designs in the film are something extraordinary to behold, challenging even the singularity of his Totoro. Consider the ominous spirit No-Face, who appears as a floating black cloak donning only a Noh theater mask. He follows Chihiro about the bathhouse, curious about her because she was kind to him. He brings her gifts of gold and bath tokens, though she only accepts the latter. He’s slowly revealed to be a monstrous spirit that consumes everything and everyone in his path, reacting to the greed shown before him. Only Chihiro remains safe, as she’s refused his gold offering. But then there’s the six-armed boiler room master, Kamajii, who concocts bath potions while attending the boiler. Shoveling coal for Kamajii are soot sprites, the little balls of black with eyes that appeared in My Neighbor Totoro. 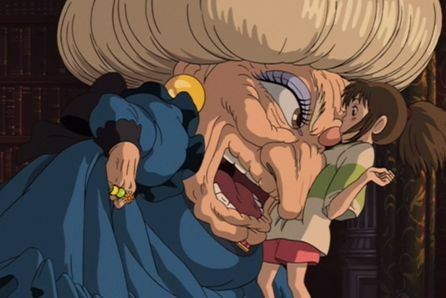 Yubaba, however, proves the most memorable character visually, with her oversized head that emphasizes every wrinkle in her pruney face. Her sour disposition is melted around the absurdly giant baby she keeps in her quarters, which in the course of the film is hilariously shrunken down into a hamster. There’s an element of magic in every Miyazaki film, be it present in a solitary character (Porco Rosso) or in the entire setting of the story (Princess Mononoke). There will never be a realist, Grave of the Fireflies-like Miyazaki picture; his films depend on igniting the imagination of his viewers. None of his films address this truism of his work within its very structure more than Spirited Away. Through the story, he shows us the staid quality of reality, and then he creates a world to which his audience can escape. The film’s spirit world is designed with such an incredible sense of marvel that it feels even more escapist than the fully conceptualized world of Nausicaä of the Valley of the Wind. 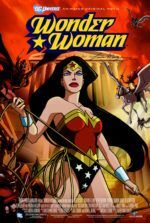 His audience can relish every detail because the film considers nothing inconsequential, so its magic inhabits every facet, no matter how small. As with every Miyazaki picture, Spirited Away wants to at once amaze and familiarize you with an impossible dream, but it remains unique within his oeuvre for cementing that narrative desire into the essential groundwork of the story.